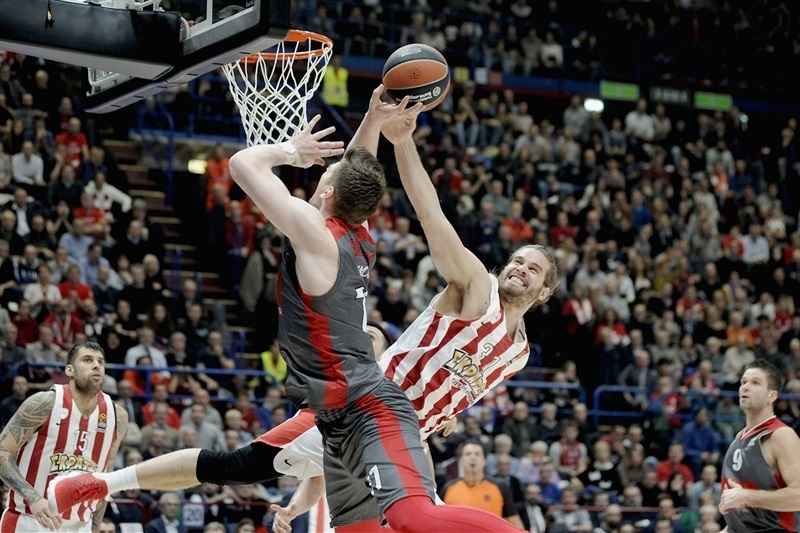 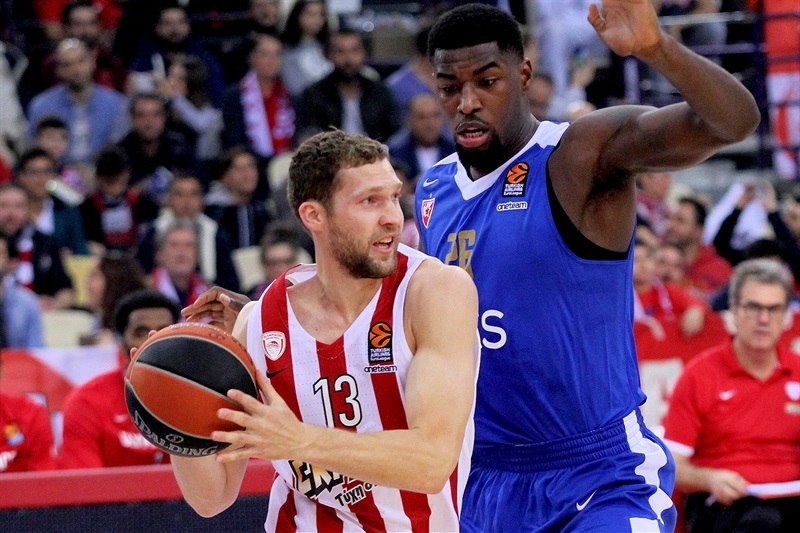 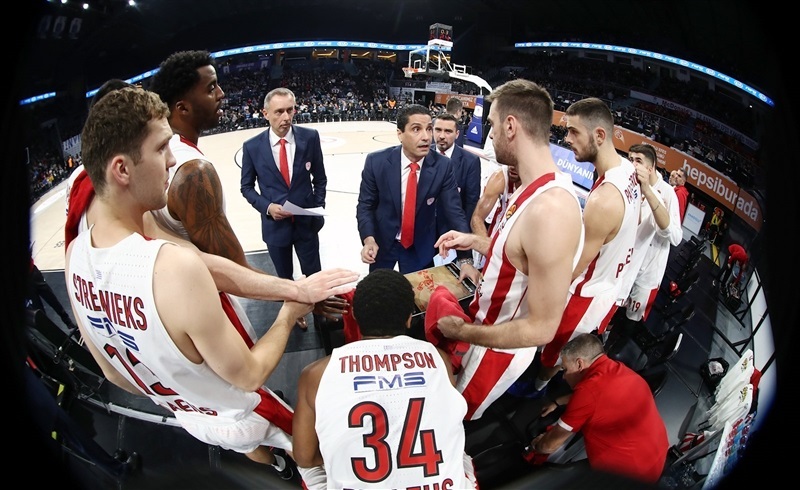 Olympiacos Piraeus's path to the Turkish Airlines EuroLeague Playoffs and home-court advantage for its series was steady and without too many bumps on the road. 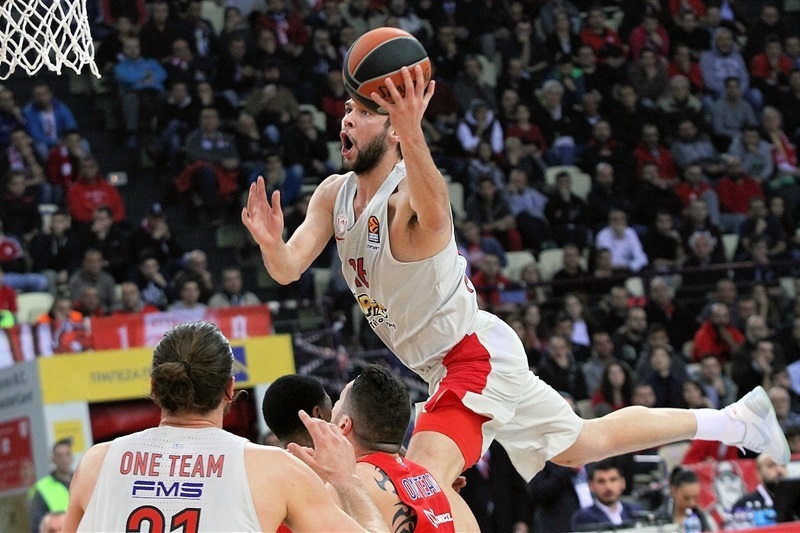 Despite having star guard Vassilis Spanoulis sidelined by injury for the first 10 games of the season, Olympiacos opened its campaign with four consecutive wins, a streak that featured a thrilling 68-69 road triumph at Maccabi FOX Tel Aviv and a comfortable 92-75 beating of Khimki Moscow Region. 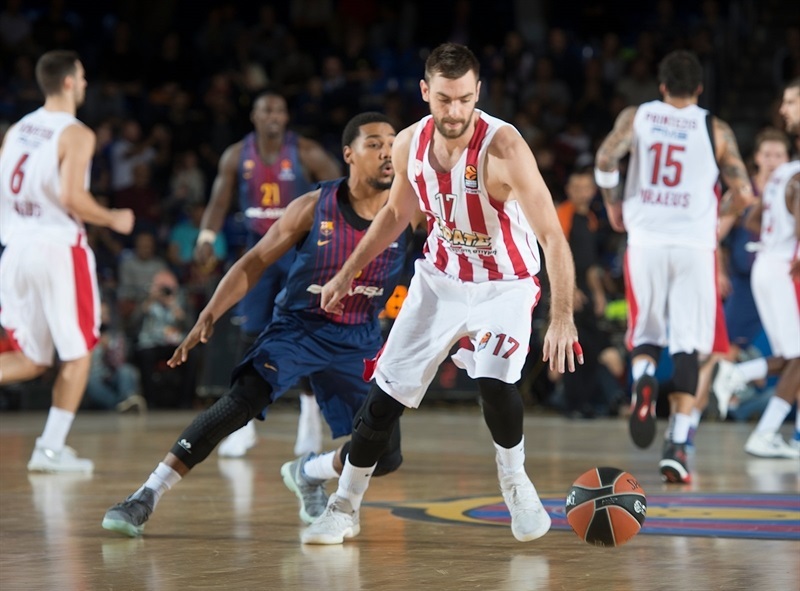 The Reds suffered their first defeat in Round 5 on the road in Barcelona and lost in the next round at home against crosstown Panathinaikos Superfoods Athens. 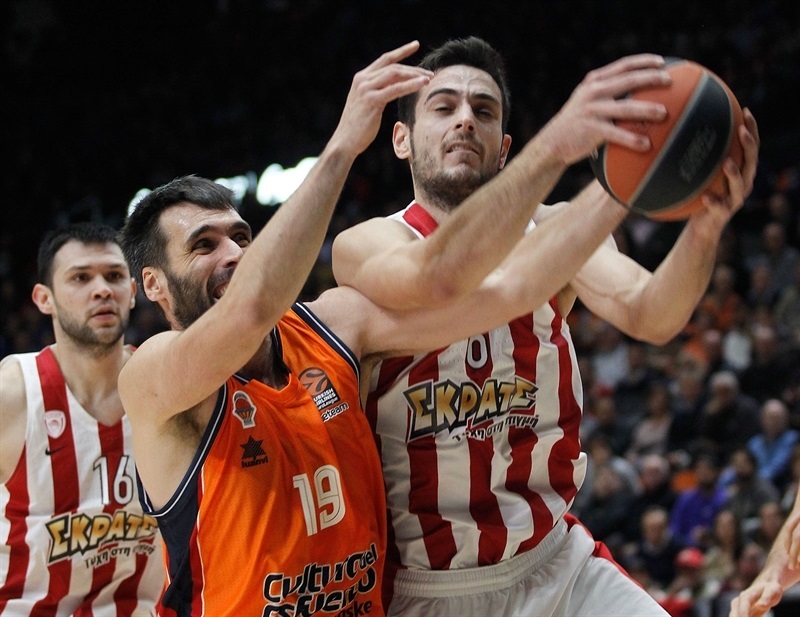 However, Olympiacos fans did not have to wait long for another winning run. 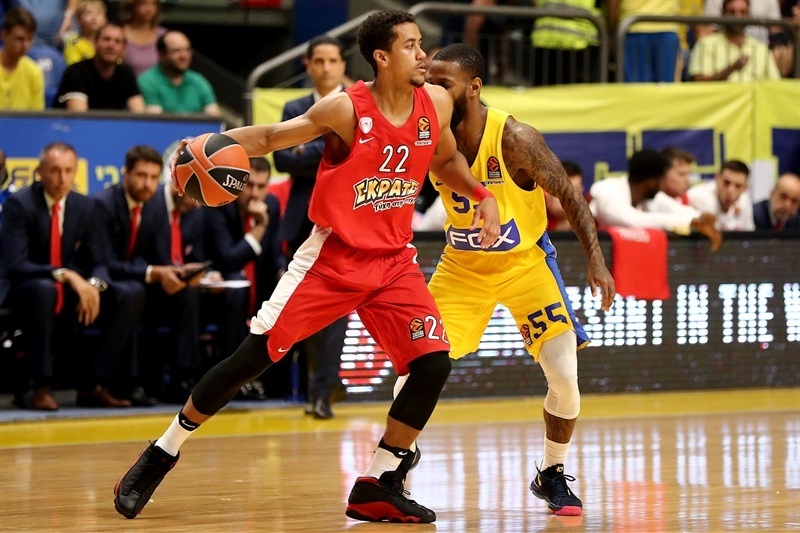 The very next week, in a repeat of last season’s championship game, Coach Ioannis Sfairopoulos's men went on the road to defeat Fenerbahce Dogus Istanbul in overtime 83-90 behind a season-high 21 points from Brian Roberts. 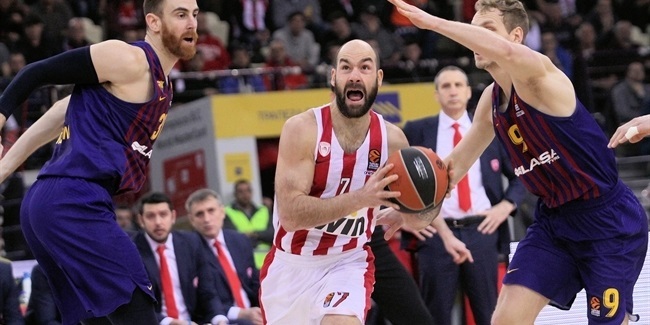 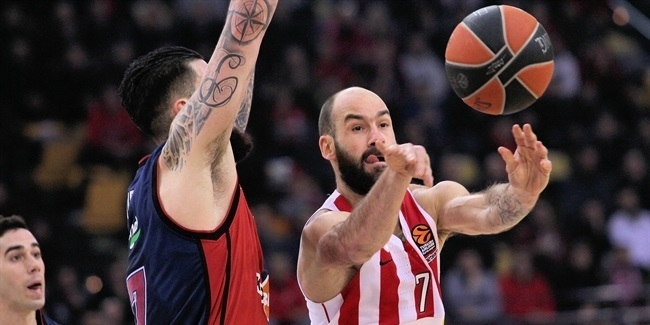 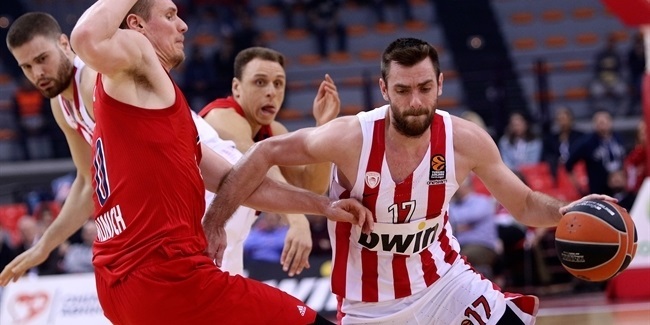 Spanoulis made his season-debut in Round 11 and helped the team to a 92-83 home win over Real Madrid, a 9-2 record and a share of first place in the standings. 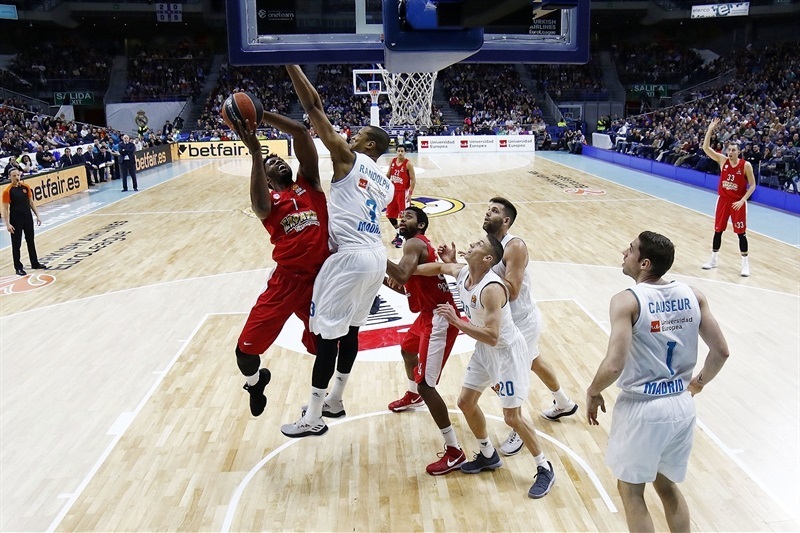 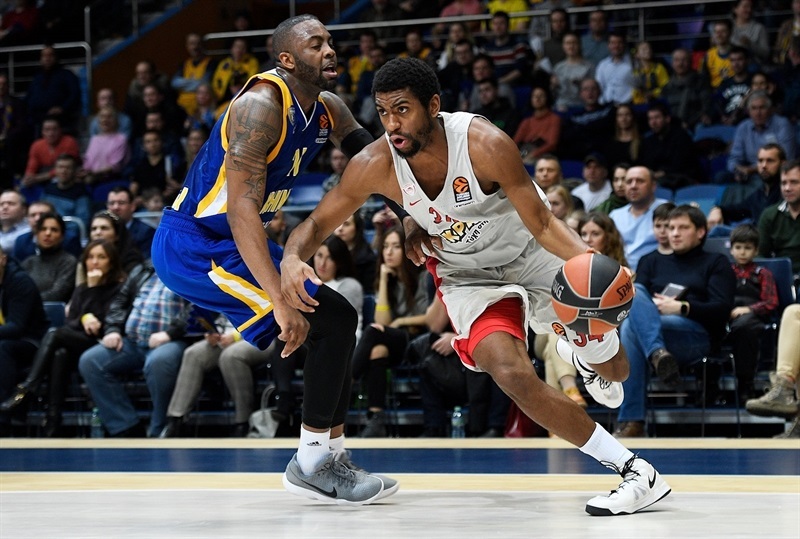 The winning run was snapped with a road loss at Brose Bamberg, but just five days later Jamel McLean had 25 points and 12 rebounds to carry Olympiacos to an 88-86 home win over CSKA Moscow in Round 13. 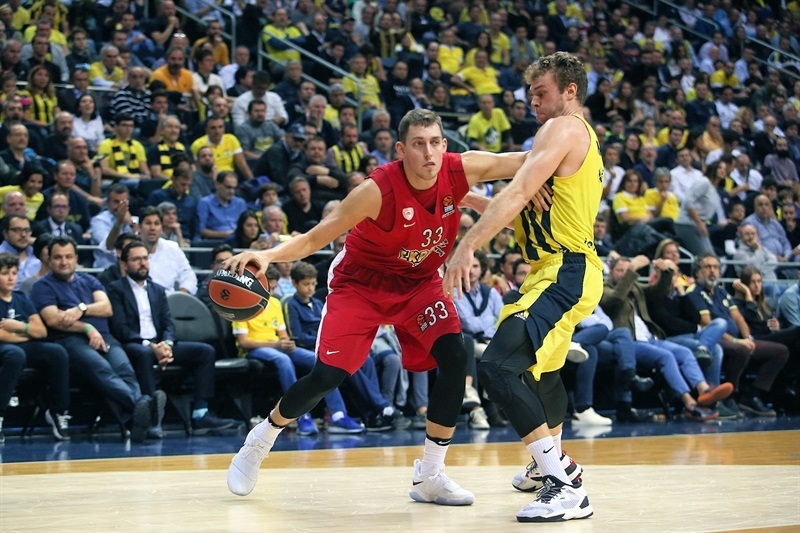 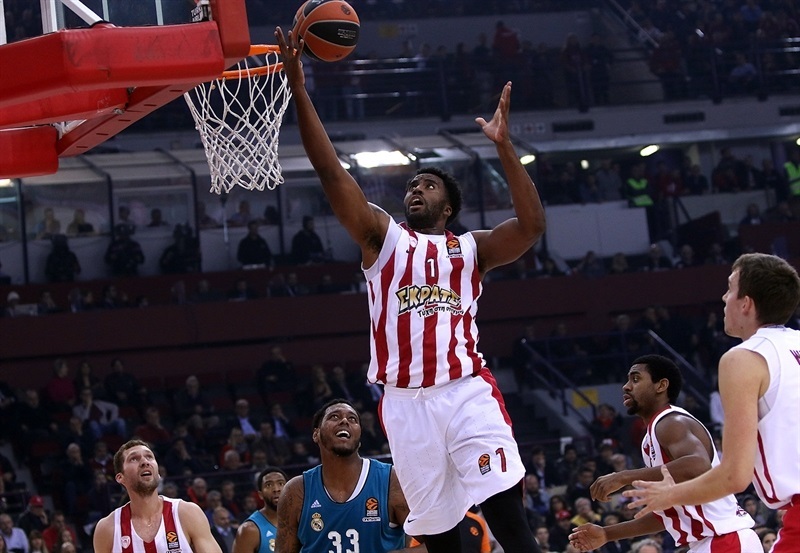 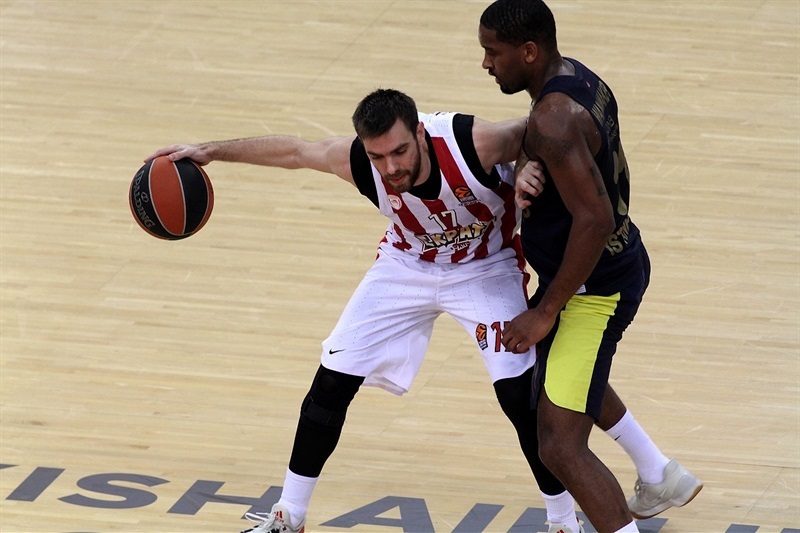 The mid-point of the season was marred by four losses in a span of six games, however, in Round 21 Olympiacos got back on the winning track in style, thrashing and sweeping Fenerbahce 95-70, then followed it up with 79-80 road victory to sweep Real Madrid. 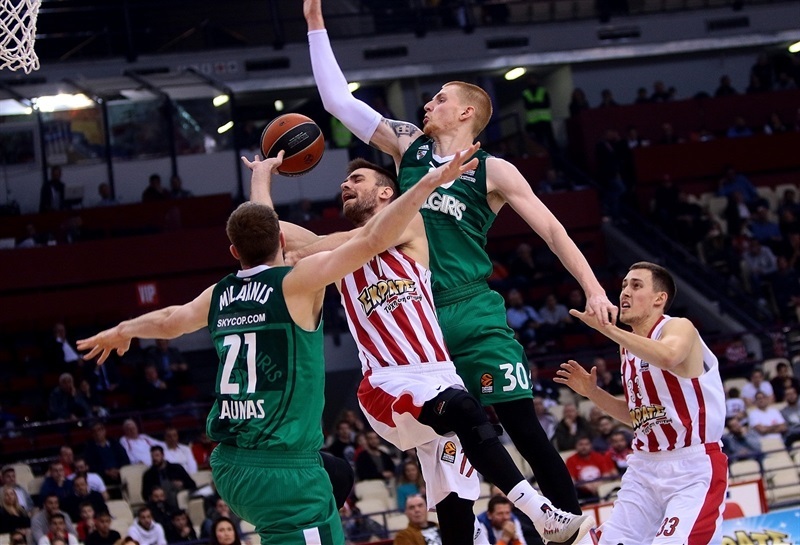 The Reds clinched their place in the playoffs with an 85-87 overtime win at Panathinaikos in Round 24. 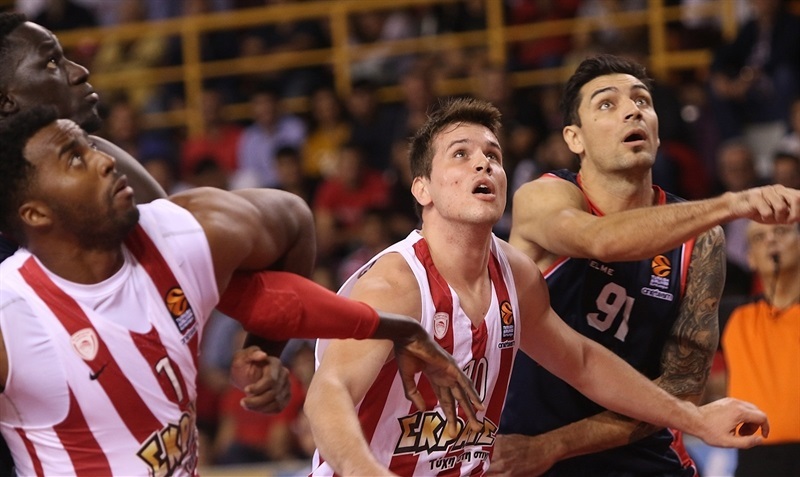 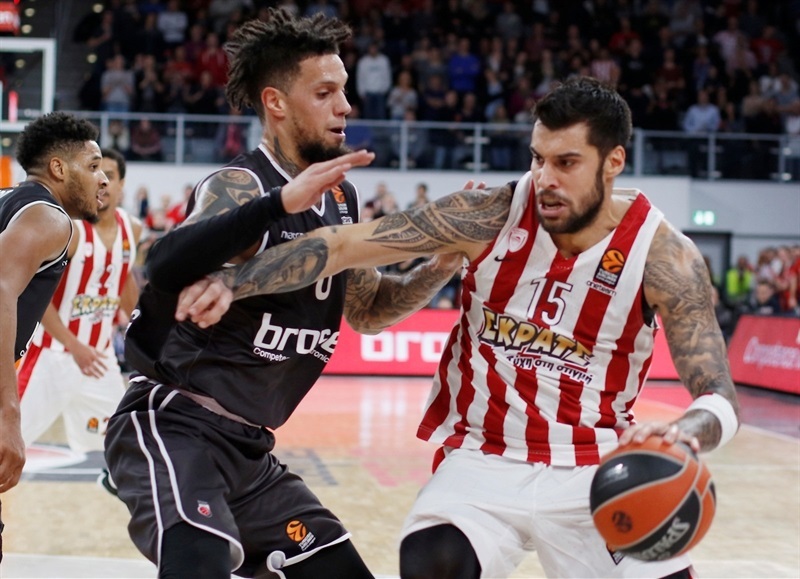 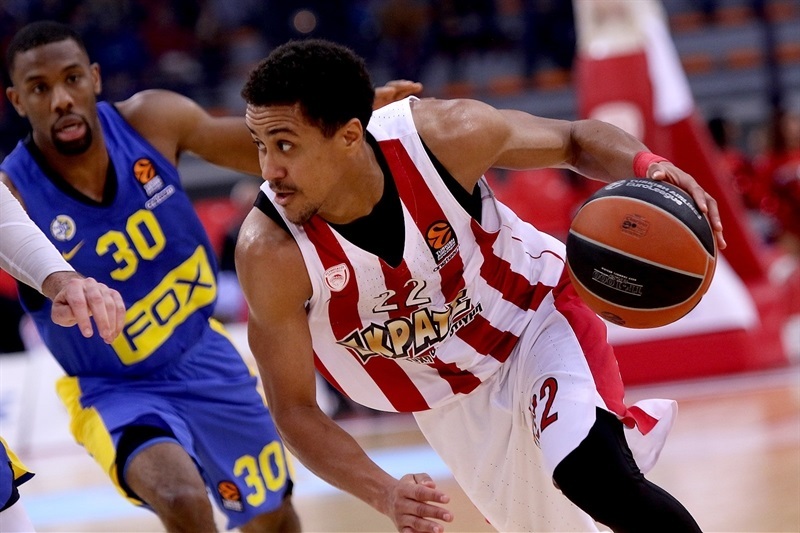 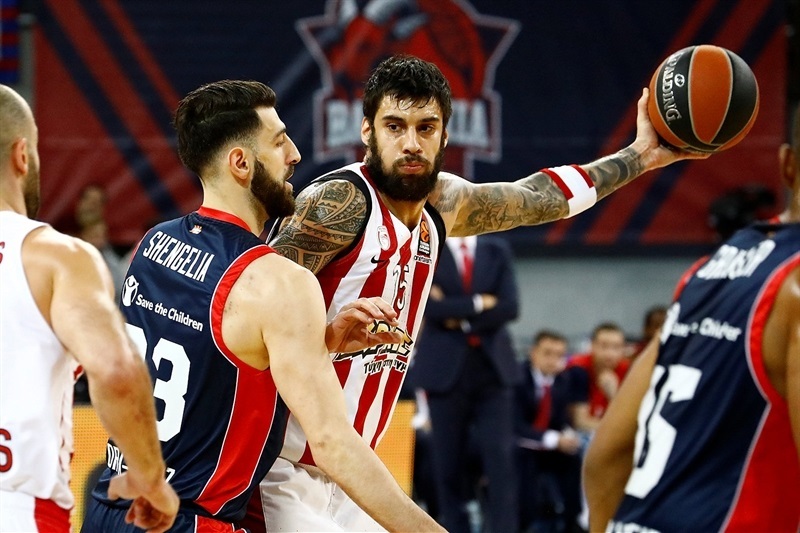 Olympiacos wrapped up its five-game winning run with an 87-79 win at home against Brose and after a pair of defeats, a home win over Efes secured Olympiacos home-court advantage in the playoffs with two games to go. 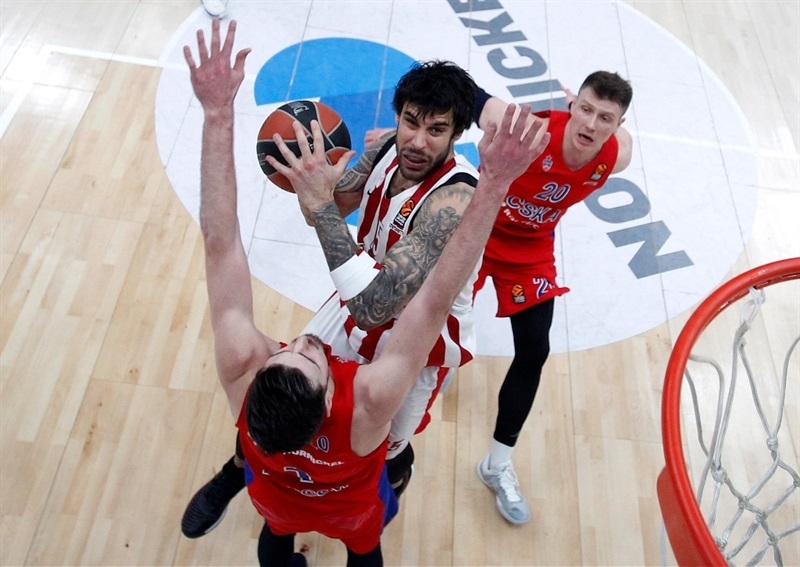 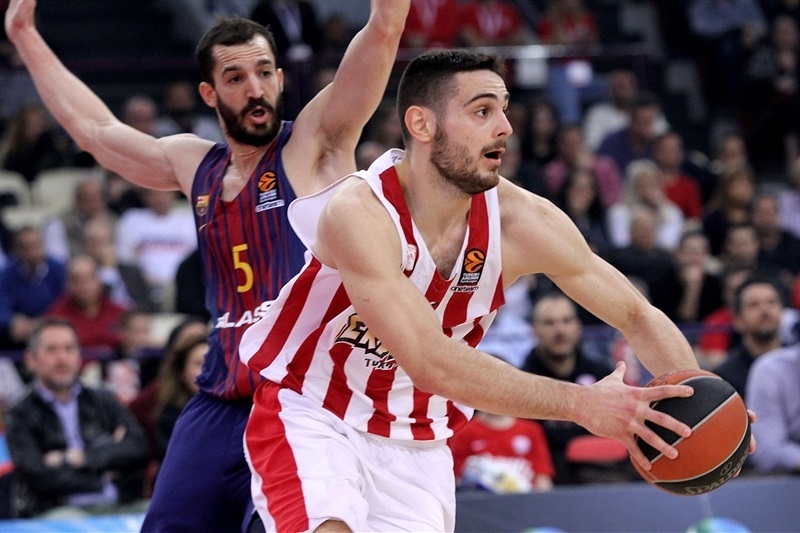 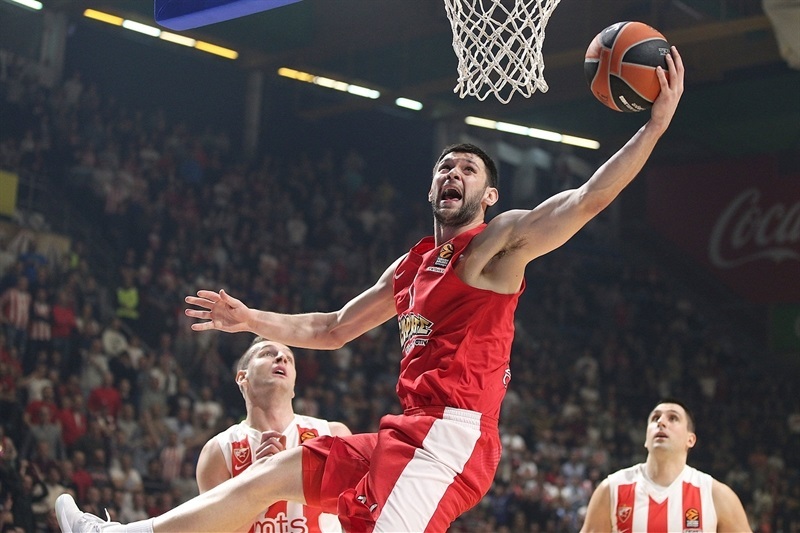 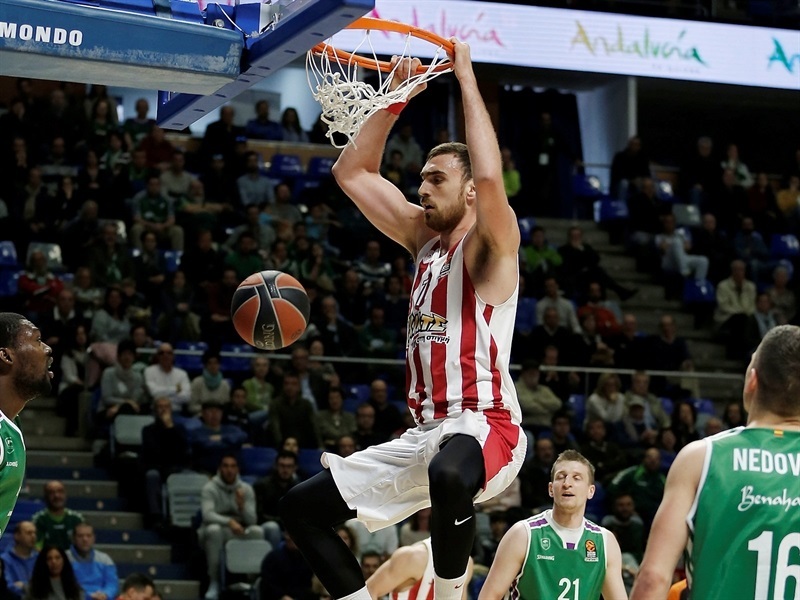 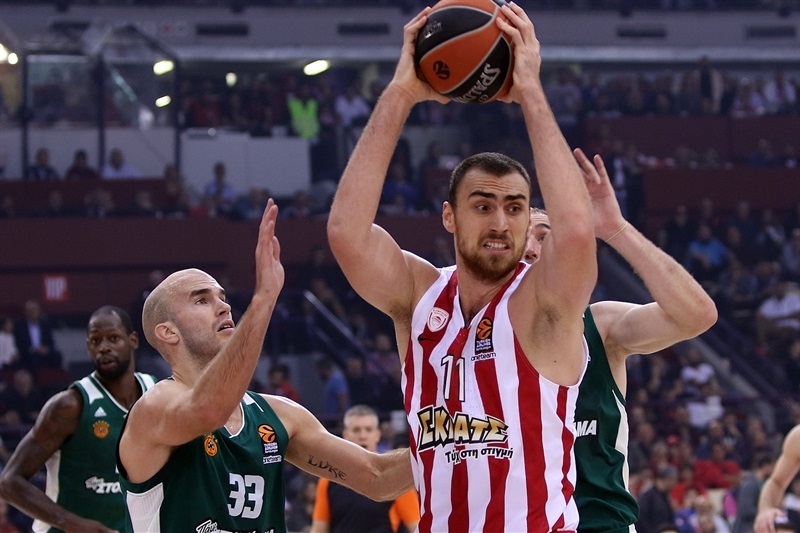 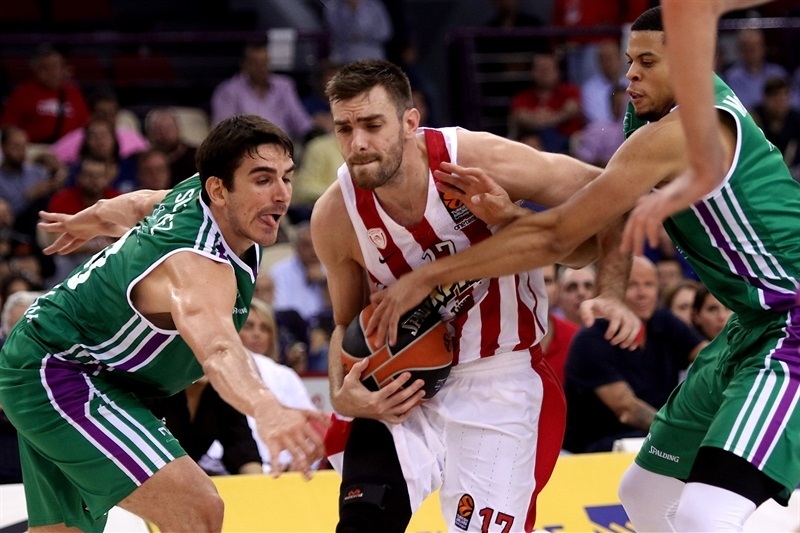 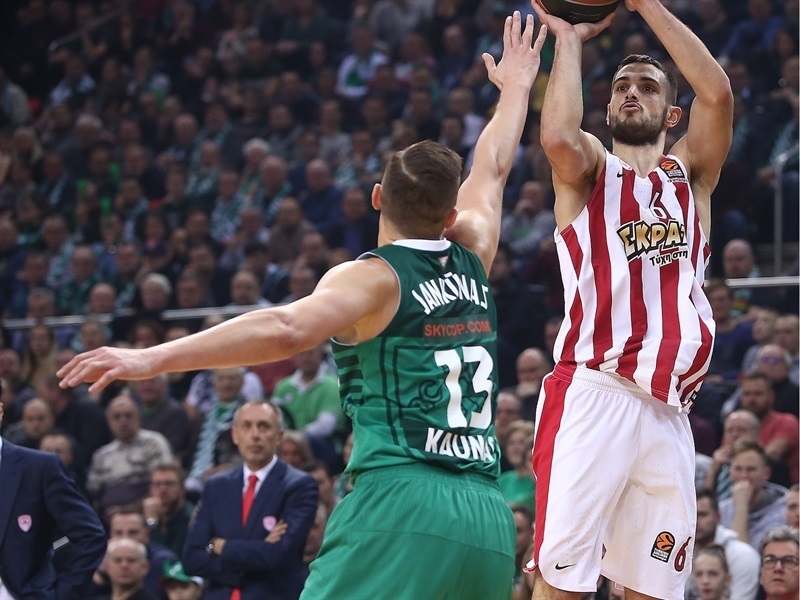 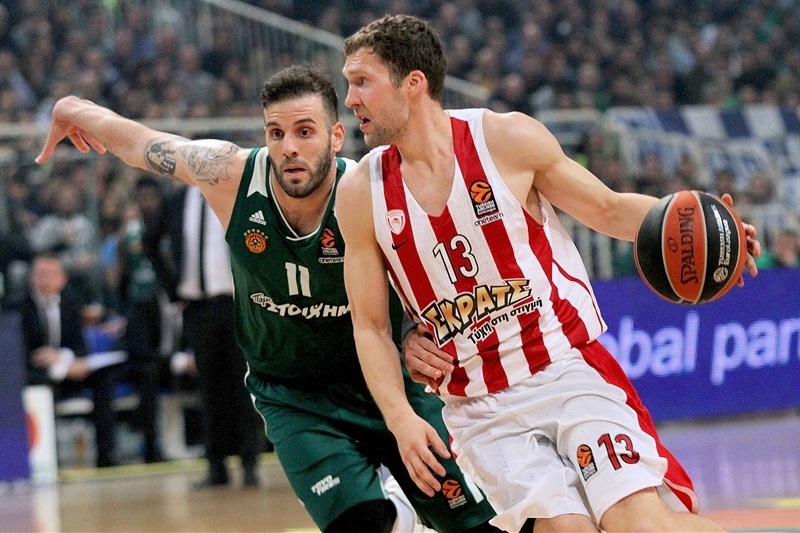 Olympiacos played it carefully in Rounds 29 and 30 by resting slightly injured stars Georgios Printezis and Kostas Papanikolaou and ended up losing overtime thrillers at Unicaja Malaga and on its home floor against playoff opponent-to-be Zalgiris Kaunas. 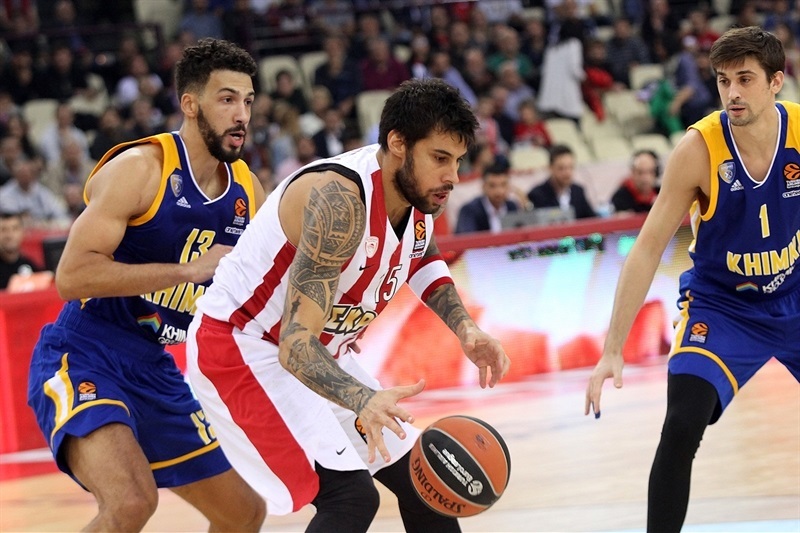 Its 19-11 record was worth third place in the standings and the Reds plan to be at full strength for the playoffs and full of confidence in front of its faithful fans in Piraeus, where it has won 11 of its last 12 playoff games.